It happened over and over: Two people introduced themselves to each other. There was a brief moment in which each reconciled the other’s older face with his or her memory of that same face 50 years ago. And then there was an intake of breath and an outburst of unfettered affection. The joy was palpable. 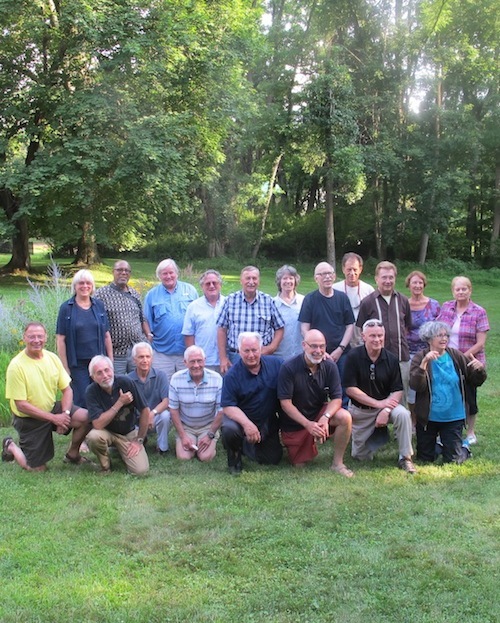 My husband and I hosted a 50-year reunion of his group of Peace Corps Volunteers. They were known as “Senegal 2,” since they were the second group to have been sent to the young country. Twenty-one were able to make it to the event, some with spouses. I’d met only a few of them before – one of them introduced my husband and me to each other. They came from all over the country. Mostly retired, they’d spent the last half-century being meat producers, film-makers, educators, health care professionals, social workers, entrepreneurs, businessmen, techies. But a half century ago, they were well-diggers, construction specialists, health workers, sports coaches, and teachers. They recalled and celebrated the last time they were all together, when they were in their 20’s. 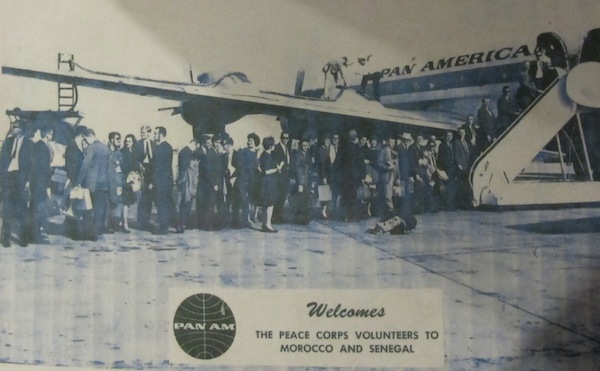 One of the themes that emerged was the enduring power of the Peace Corps experience. There were funny stories, too: One man cracked up as he told of his fury when a new room-mate ate the can of mom-sent apple pie filling he’d been saving for Thanksgiving. A woman with exuberant gray hair and an expressive 70-year old face acted out the scene when she’d tried to explain to an African counterpart that she boiled her water before drinking it because of “little animals that live in the water that you can’t see but that go away if the water gets hot.” And then there was my husband, who’d started a garden in a village where they ate rice and fish, hoping to provide the vitamins found only in vegetables; too bad the first and most prolific crop was detested radishes. I admired the courage and initiative of their twenty-something selves. They heeded JFK’s call to “ask what you can do for your country” and went to Senegal, a country most had never heard of, in Africa, a continent much less known to Americans then than now. Many traveled out to the bush and, with the Peace Corps’ help, established a life for two years. No email, no cell phone, no Skype, no blog, no Facebook. Inspiring, really. They told their stories and reminisced, remembering their youth with pride, and they reflected on aging. They reconnected with each other. 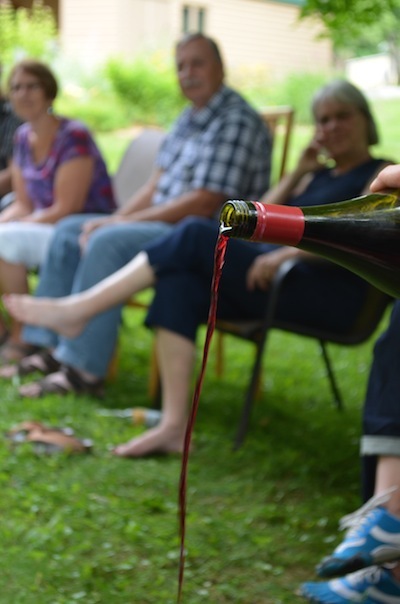 As the group toasted their experiences and their friendship, they first poured some wine into the ground, “for the ancestors,” as they did with their Senegalese counterparts, with palm wine, many years ago. I don’t think I’ve ever met such a remarkable group of people: smart, funny, reflective, friendly, warm. As I mentioned in my last piece, “Ask Not….,” there are now about 215,000 returned Peace Corps Volunteers. Do you know any of them? Did you ever ask them about their experiences? What did they say? Carole Howard is the author of Deadly Adagio, published by Second Wind Publishing, in which the setting is Senegal and the Peace Corps plays a role.